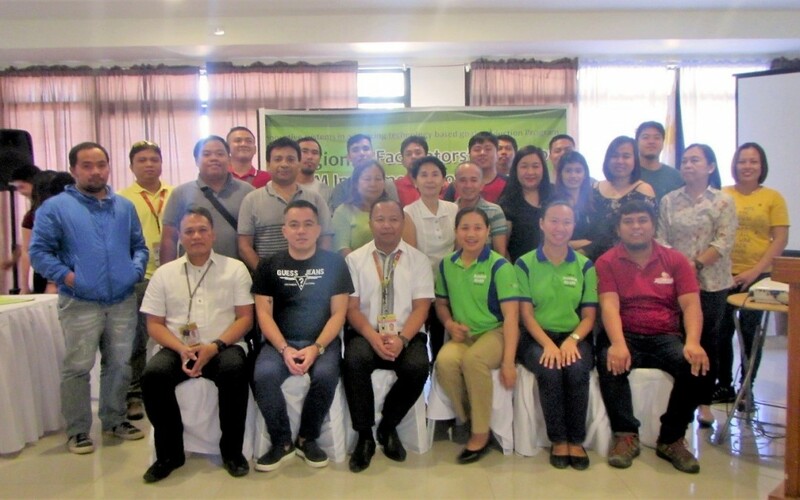 The University of Southeastern Philippines (USeP) and the Department of Agriculture, Regional Field Office (DA-RFO XI) are currently administering the Regional Facilitators’ Training on Farmer Livestock School on Goat Enterprise Management (FLS-GEM). The training, which commenced on February 25, 2019, will be held at the Provincial Tourism Complex, City of Mati, Davao Oriental until March 10, 2019. A total of 21 trainees coming from the fields of animal science, veterinary medicine and community extension from the Davao Region are trained on the innovative systems in technology-based goat production program. The training participants are expected to roll-out the FLS-GEM training modules in the provincial, municipal, and barangay levels. The main goal of the program is not just to increase the number of FLS-GEM trained farmers but also to make their goat enterprise more lucrative and sustainable. The FLS-GEM modules were developed by the Department of Science and Technology (DOST) – Philippine Council for Agriculture, Aquatic and Natural Resources Research and Development (PCAARRD), Isabela State University, Central Luzon State University, and the Visayas State University livestock and small ruminants experts headed by Ms. Anna Marie P. Alo, Supervising Science Research Specialist, PCAARRD-DOST. The FLS-GEM Management Team is composed of Dr. Mervin G. Gascon, Regional Project Coordinator (USeP) and Dr. Armie S. Capuyan (DA-RFO XI) and Mr. Jonash A. Bunda (USeP) as the regional project staff.